Did you ever find yourself in a situation where the solution provider you hired built a software product (web or mobile app) which met your expectations, however when it reached the market it didn’t live up to end-users’ expectations and turned out to be a complete disaster? The most probable reason could be a mismatch between business requirements and customer expectations, as evident in the scenario above, which is a direct result of nonexistent or inadequate Business Analysis (BA). Developing a software product (web or mobile) without indulging in a Business Analysis phase could lead to many issues later. 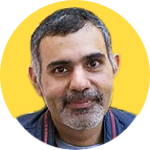 A slightest disparity between business and customer expectations, and the project team’s understanding of those expectations, can lead to a significant failure in developing a desired product. How do I present the idea in a structured way? How would it look when developed? Is the idea even worth pursuing to be developed as a product? Then Business Analysis might help you get that clarity, which in turn will enable you to make informed decisions before you invest too much in development. Before we go any further into how business analysis can make or break a great software product, let me give you a brief insight into what exactly BA is. Business Analysis involves the identification, elicitation, documentation, analysis, communication and implementation of your requirements in a clear, concise and organized way so that you can transform your abstract business ideas into high quality concrete solutions that meet customer expectations and increase profitability. Business analysis helps elicit the actual needs of stakeholders and conceptualize a new or improved solution that is accurate, logical and practicable. However, in the existing technology driven market, customer expectations change rapidly, which means organizations/startups need to come up with fresh, exciting, user friendly and innovative solutions at a fast pace to meet current as well as future customer requirements. And that’s where Business Analysis comes into picture. Let’s see how BA proves to be a most critical success factor in software development projects. Being the first step in any software development project, it’s very important to devise and communicate the business vision of the project, and outline initial requirements and scope of the project. Business analysis makes it possible to get the project focused early toward the high-level business objectives. A well-defined scope brings clarity to all stakeholders on what needs to be achieved and what need not to be achieved so that everyone is on the same page. This kind of documentation about Scope during Business Analysis phase also helps in setting right expectations and avoids any confusion. At the initial stages of product conceptualization, there’s nothing concrete in terms of requirements that developers can understand. It’s the role of business analysts to translate the requirements of stakeholders into a single objective, so that developers and stakeholders are on the same level of understanding of project requirements. There are times when there is deviation in understanding of requirements as part of the scope between customer and sales/presales consultant. This kind of misinterpretation of the scope is discovered in the business analysis phase and a good documentation ensures that all scope creeps are covered.This activity also helps keep the project well within schedule and budget. Another key aspect of business analysis is to assess the technical and architectural limitations of the project so that the stakeholders have a clear idea of what is being done and why is it being done. At times there is a particular functionality or part of a functionality which is ideally desired by the customer but not possible to achieve because of technology limitations. A good business analyst can work along with the technical team to bring out this type of technical feasibility issues in front of customer so that an alternative can be explored. Business analysts analyze, review and refine the requirements, categorize them into various parts and sub parts, and document them for a clear picture of the overall project requirements. Documented requirements reduce the chances of misinterpretation and any conflict among various project teams. For documenting project requirements, business analysts use various techniques, like Sitemaps, User Stories, Functional Requirements Document (FRD), Wireframes and Prototyping. We will discuss these in more detail in our next post. To make sure that the product idea is logical and practicable, it needs to be validated. Business Analysts use various techniques such as Sitemaps, User Stories, Functional Requirements Document (FRD), Wireframes and Prototyping etc. to determine whether the final product will actually be both functionally and technically viable. 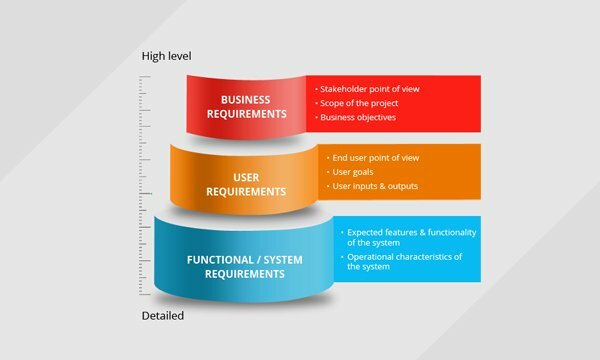 Business Analysts have the first-hand understanding of project requirements, which goes a long way in aligning overall development activities with project goals. BA team helps keep the project on track by accommodating viewpoints of all stakeholders, taking care of changing requirements and project scope, mitigating risks, and avoiding conflicts among different project teams and stakeholders. Business Analysis involves in-depth analysis of business requirements, customer expectations and physical and logical processes involved in the project. Therefore, BA should be implemented keeping in mind the scope of a software development project. Following considerations should be kept in mind while including BA in your software development project. Business analysis is specifically helpful in the projects that are highly complex, such as developing a software product, a web or mobile based business application. All those projects where the product is either developed for the first time and there are no similar references, or those products which have a similar reference in the market to look at but needs to be developed to compete with an existing product, are ideal cases for Business Analysis. The web platform we developed for MyPrivateBanking is a good example of a project that requires BA. MyPrivateBanking (MPB) is the first independent information and networking platform for clients of private banks and wealth managers worldwide, created with an aim to support private banking clients in making profitable investment decisions. The primary objective of www.myprivatebanking.com was to support the site’s overall strategy of providing in-depth information and a platform to exchange information. To meet this objective, our BA team started off with extensive stakeholder interviews to get an in-depth understanding of the scope, key objectives, and challenges of the project. Finalizing the layout and navigation of the website was also a big challenge. To overcome this challenge, our business analysts conducted an Information Architecture (IA) workshop with MyPrivateBanking team, where sitemaps and wireframes were developed. 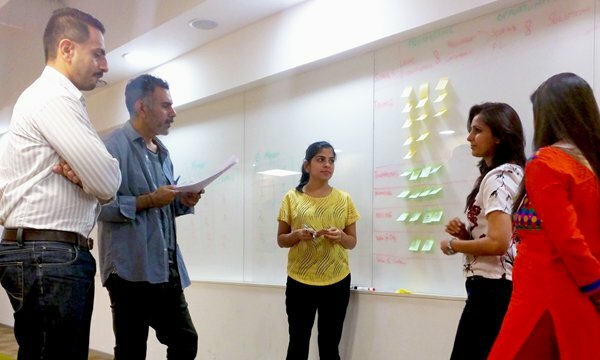 Keeping in mind the complex IA of the website and the priority of MPB team to engage and retain visitors, we chose Agile-scrum methodology where the project was divided into sprints of two weeks’ duration, which enabled us to get early feedback and plan future sprints well in advance. As a result, our comprehensive BA solution created a flawless combination of website design, information architecture, and user engagement methodologies, which helped MyPrivateBanking.com attract targeted users and grow their member base. We don’t need to reiterate the importance of user experience in the present market environment driven by tech-savvy consumers. Effective business analysis is the backbone of a memorable user experience. 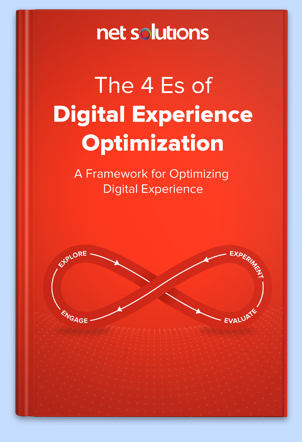 Therefore, if delivering an unmatched user experience is a priority for you, make sure to keep business analysis a top priority among your project activities. SampleBoard.com was one such project that was highly focused on user experience. SampleBoard is a creative web tool that helps designers create and share digital sample boards, and discuss new business opportunities through the Design Directory. The key challenge for Net Solutions was to create an online tool with Photoshop like features where designers can compose their own design boards. To understand the precise requirements of the SampleBoard team, our BA team conducted an in-depth requirements analysis. The tool was supposed to be highly creative and built from scratch, so it was important to capture detailed UI and feature requirements to ensure unmatched user experience. Right from the initial consultation to providing a detailed quote, we captured exact feature requirements and identified broad business objectives. After the initial requirements analysis, a rich Ajax driven tool was developed with additional features such as payment, community, membership, and other web 2.0 features. Because of the 360 degree analysis done by the BA team, we were able to develop the tool that exceeded SampleBoard team’s expectations and delivered incomparable user experience for its users. Projects that involve frequent change requests during different phases of project development lifecycle are also ideal candidates for business analysis. Though some organizations have dedicated change management resources in place, business analysts are often required to lead and integrate major project-wide changes. Business analysis can help identify whether the change request is actually a change or a defect, and answer questions such as why there’s a change request in the middle of project development or whether or not to implement the change. Change management is usually a part of almost all projects, so there’s not a single ideal project example that we can quote here. This also leads to the conclusion that all projects require business analysis, however, smaller projects, such as WordPress site development, don’t essentially require BA, keeping in mind the limited scope of the project. Even then it’s a good practice to include BA in every possible project. 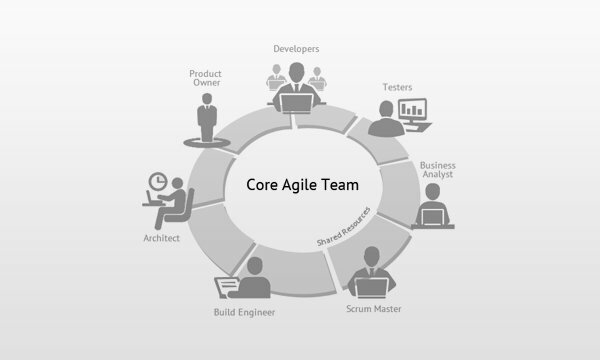 In recent years, we’ve seen an increasing acceptance for Agile methods. The role of business analysts is also evolving and BAs are seen as the keystone to adopting Agile. Organizations realize that projects based on Agile methodology require the ability to influence the stakeholders, and BAs are poised to become the key influencers. The need of the hour is to capture the imagination of users as well as the stakeholders. And Business Analysis does just that. It allows you to take the guess work out of your business decisions and facilitate the development of “intended” solutions that meet, and often exceed customer expectations. This is the first post in the series of “How Business Analysis can transform an idea into a remarkable software product?” Keep yourself posted for the upcoming posts where we’ll discuss the detailed BA processes and the associated best practices/guidelines. Very well described the importance of BA, i liked the post! !